03.23.10 BABY BLUES. WEST HOLLYWOOD, CA) Venice Paparazzi took a road trip over to Baby Blues in West Hollywood to cover their one year anniversary and to check out Venice's very own local talent Miss Willie Brown. It was an amazing night with Baby Blues' family, friends and fans drinking, eating, cheering and listening to the high energy and powerful voices of Miss Willie Brown's Kasey and Amanda. Congrats to Rick and Danny on your one year. Your food is amazing and the energy at West Hollywood is welcoming and exciting. 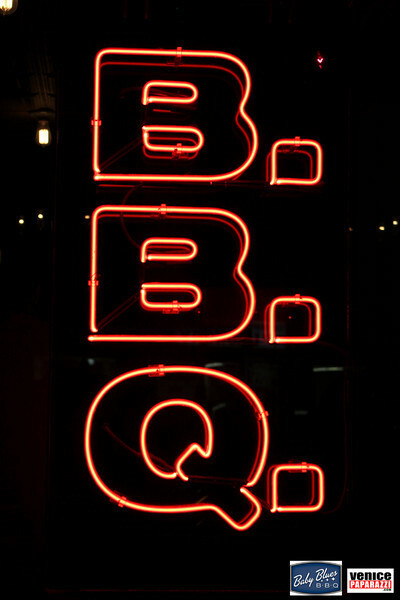 BABY BLUES BBQ NOW HAS THREE LOCATIONS TO SERVE YOU. For more information and menus, check out the following websites. COMPLIMENTS OF BABY BLUES, GET YOUR FREE DIGITAL PHOTOS FROM THIS GALLERY BY RIGHT CLICKING AND SAVING, OR DRAGGING STRAIGHT TO YOUR DESKTOP. NOTE: CONTACT EDIZEN DIRECTLY IF YOU WOULD LIKE YOUR IMAGES REMOVED FROM OUR WEBSITES. 310.745.1064 info@venicepaparazzi.com.